With offices in Los Angeles, Boston and Orlando, our end-to-end services deliver live, educational and timely nutrition and health live sponsored segments that feature your brand embedded seamlessly in targeted national, regional and local news and lifestyle TV shows in markets across the country. Registered Dietitians (RDs) highlight your key messages verbally while positioning your brand per your direction. Each segment includes brand on-screen close-ups, brand and website graphics (when possible), and the all-important verbal endorsements by both the RD and show hosts, significantly reinforcing and strengthening your brand’s credibility and appeal. 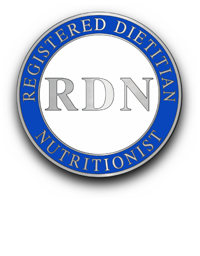 To find a trusted nutrition expert look for the credentials RD or RDN. CBS segment programming is branded “Food For Thought” and airs adjacent to CBS News Sunday Morning in both Los Angeles and San Francisco. We have an exciting, new digital platform segment option that targets #1 New York City: the WPIX11 Facebook News. With PIX11 Facebook News, we are bringing the traditional news platform to social media outlets where viewers come for information and entertainment. The six-minute segments look and feel like broadcast segments with branded messages, visuals, and recipes and are taped in WPIX’s own Social Media Center with a Zest Registered Dietitian and a PIX host. The minimum number of PIX11 FB views per segment is 150,000.